The two main designs are the horizontal axis wind turbines (HAWT) and vertical axis wind turbines (VAWT). Small wind systems generate clean renewable energy and can be connected to mains electricity supply (on grid), or alternatively used to charge batteries (off grid). Small wind system technology can be subdivided into three categories: micro wind turbines (0–1.5kW), small wind turbines (1.5–15kW) and small–medium wind turbines (15–100kW). The production of wind energy by small wind systems over a year depends critically on the annual average wind speed at the sites – higher wind speeds produce more energy. Sites located only a hundred metres apart can be significantly different. To assess the average wind speed at a particular site, it is recommended that on-site wind speed data and careful measurements be taken over a period of time prior to installation. The UK has the best wind resources in Europe, a globally competitive manufacturing industry for small wind systems and a consumer base that is becoming increasingly more aware. With volatile fossil fuel prices and declining technology costs, and this year’s introduction of the Feed-in Tariff, interest in microgeneration is only going to grow, with more and more homes and businesses generating their own clean, green energy. 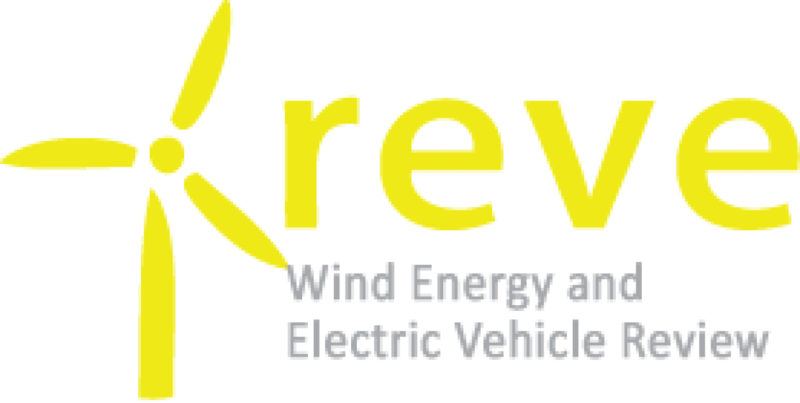 This is the third small wind system UK market report undertaken by RenewableUK (formerly BWEA) and draws on contributions from across the global micro and small-scale wind industry. The report assesses the current size and dynamic of the UK small wind system sector, offers indications towards future market development, aims to provide an introduction to small wind system technology and keep the industry up to date with the current UK and export market, and support policy development in national government. In 2009, RenewableUK estimated the UK small wind system sector to have generated a level of energy that would have emitted 22,580 tonnes of carbon dioxide if sourced from the national grid (Digest of UK Energy Statistics). The Carbon Trust states that ‘in theory small-scale wind energy has the potential to generate 41.3TWh of electricity and save 17.8Mt of CO2 in the UK annually’, approximately 12% of the UK’s electricity requirements. The UK small wind system sector continues to grow its contribution to national energy requirements, with overall annual production estimated by RenewableUK to have reached 35.8GWh in 2009. Although this report does not take account of small wind systems installed in the UK prior to 2005, it is fair to say that current annual energy production levels are only scratching the surface of what may be possible in the future. RenewableUK estimates that if barriers to market growth are adequately addressed, by 2020 the UK small wind system sector will be annually generating 1,700GWh (1.7TWh) of renewable electricity. Annual deployment in 2009 surpassed previous records by almost 20%. Annual deployment of 7.24 MW in 2008 grew to 8.64MW in 2009. Another steady year of deployment from industry and consumers alike saw the total installed UK capacity reach 28.7MW at the end of last year. Although coming from a low base, RenewableUK estimates that the UK could have 1,300 MW (1.3GW) of installed small wind system capacity by 2020, if the appropriate policies are put in place to support this fast emerging sector. With growing interest in grid-connected applications, small wind turbines, as opposed to micro wind turbines, are expected to continue to provide the majority of annual deployed capacity. In addition, new financial incentives launched in April 2010 (Feed-in Tariffs) are predicted to stimulate fast growth in the previously dormant small–medium wind market, in which generated energy is predominantly used to satisfy on-site demand. Since 2005, almost 14,000 small wind systems have been deployed in the UK. Although this report does not take account of small wind systems installed in the UK prior to 2005, it is fair to say that the total number of existing UK installations will likely be significantly higher than this value. By 2020, RenewableUK estimates that over 600,000 micro, small and small–medium wind turbines could have been installed in the UK alone. With the UK enjoying the best wind resources in the whole of Europe, future technology cost reductions and fossil fuel price hikes could mean more and more potential sites become commercially attractive. Small wind system technologies that connect straight into the grid or feed mains electricity supply are expected to be a significant growth area in future. Off grid applications of small wind system technologies are expected to experience steady growth throughout the coming years. Many of these applications are installed within the leisure (e.g. marine) and industrial segments of the market. Free-standing turbines, as opposed to building-mounted turbines, are expected to continue to make up the lion’s share of existing installations for the foreseeable future. Mounting turbines on buildings is a relatively new application of small wind system technology. As with all applications of small wind system technology, due attention should be paid to the quality of available wind resources on-site prior to installation. Vertical axis wind turbines (VAWT) are a relatively new entrant into the mainstream small wind system sector, but it is anticipated that they will play an expanding role as the overall market grows. Horizontal axis wind turbines (HAWT) are forecast to provide a significant proportion of the overall number of annually deployed micro and small wind turbines in the near future.